Angels' Eyes Chicken Flavored Natural Soft Chews are developed to help eliminate unsightly tear stains from the inside out! 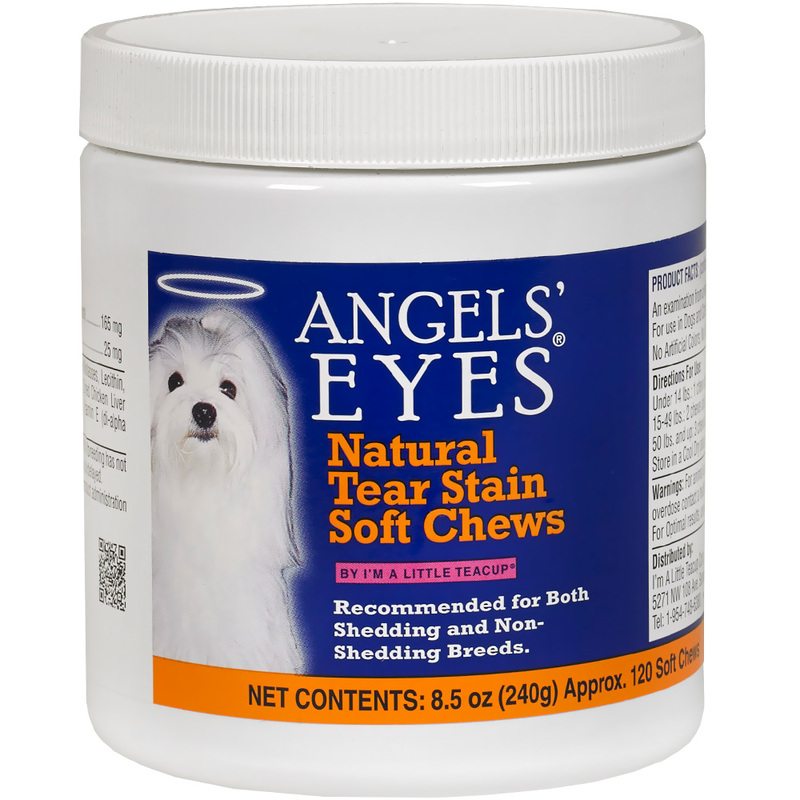 Angels’ Eyes Natural Soft Chews also help to eliminate staining around the mouth and coats due to licking. Other products are topical requiring high maintenance and yet will only remove the tear stains temporarily causing it to return worse than before. 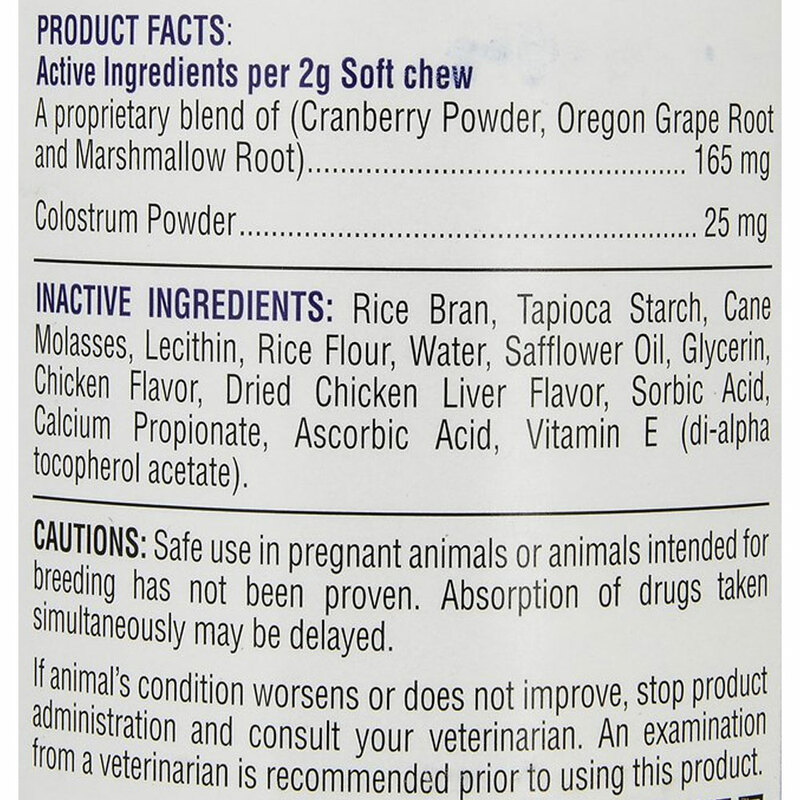 Angels’ Eyes Natural never adds food dyes, wheat, corn or soy, which may have a negative effect on your pet. 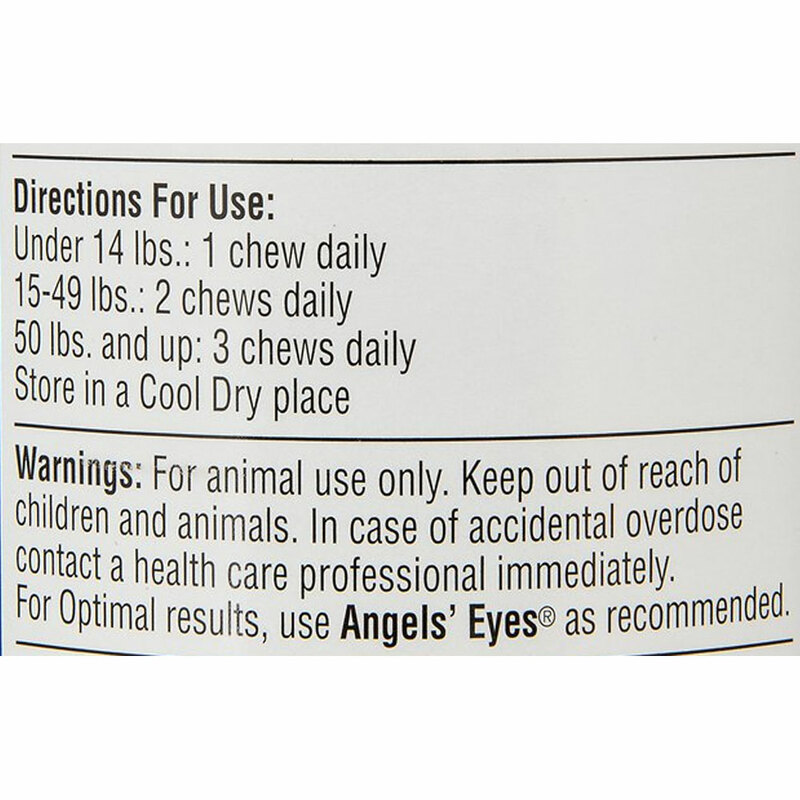 Angels’ Eyes Natural Soft Chews comes in chicken flavor! 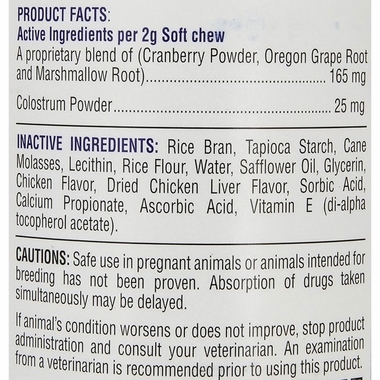 INACTIVE INGREDIENTS: Rice Bran, Tapioca Starch, Cane Molasses, Lecithin, Rice Flour, Water, Safflower Oil, Glycerin, Chicken Flavor, Dried Chicken Liver Flavor, Sorbic Acid, Calcium Propionate, Ascorbic Acid, Vitamin E (di-alpha tocopherol acetate). Warnings: For animal use only. Keep out of reach of children and animals. In case of accidental overdose contact a health care professional immediately. 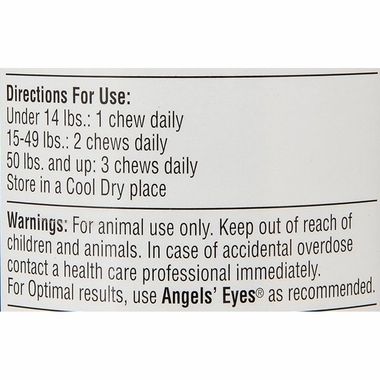 For Optimal results, use Angel's Eyes® as recommended.